Cheap international calls Magictel VoIP phone service helps you save money on international and domestic phone calls using your existing internet connection. Do you have family and friends overseas?Stay connected and call USA, New Zealand, UK, Australia, India, China and/or Singapore (to name a few) for the cost of a local call. It is very easy, just click on the sign up button to create your account and get started, you will get details in welcome email. Once you have created your account, login to top up your account with prepaid call credit or to buy call packages. You get your calling pin and voip phone settings in welcome email, all you have to do is to ring our access number to make calls. Enjoy cheap international calls to your loved ones, no matter where they are in the world, and you won’t have to worry about overseas call charges. We offer simple pricing and you pay only for services used. No hidden monthly or annual costs apply.No connection charges. No contract needed. All our Magictel numbers have their own voicemail box and this service is offered free. You’ll never miss your important calls, no matter where you are. All our numbers are FAX enabled, so you won’t have to dedicate a separate line for receiving FAX. Receive your faxes virtually without a fax machine. Magictel provides affordable solution to keep in touch with your clients across the globe and expand your business, beyond geographic boundaries. We provide a simple and flexible solution for businesses, without the hassle of hidden costs or long term commitments.24/7 support. Our Hosted PBX allows small and medium-sized businesses to have a sophisticated telephone system without the investment in telephone equipment. Voice Over Internet Protocol ( VoIP ) services allow you to make low cost International & domestic phone calls using your existing high speed internet connection. Using the internet to make phone calls enables you to avoid the usually high-cost calling from your regular carrier and to take advantage of the great rates that Magictel offers. Magictel provides a personal virtual number, which promises reliability of a landline, flexibility of a mobile number and coverage that stretches across the globe. Our customers enjoy all these benefits in the most economical and competitive rates. 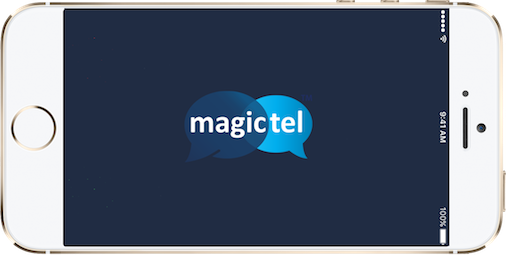 Magictel through its global partners provides direct VOIP links to its customers, ensuring super clear and exemplary call quality, but within the most affordable rates in the world.